Your white blood cell (WBC) count signifies the status of your immune system. A high white blood cell count usually indicates that you have a bacterial or viral infection. High white blood cell count often results from disorders of the immune system, autoimmune system and blood. Symptoms associated with high WBC count include dizziness, headache and localized inflammation. In some cases women may have high white blood cell count in pregnancy. Should it be worried? Should You Worry About the High White Blood Cell Count During Pregnancy? A high white blood cell count is no reason to panic unless it goes beyond the normal range. The unit of measure of white blood cell count is the number per microliter (mcL). The normal range is different in various laboratories. However, it often ranges between 4,500 and 10,000 per microliter. In the case of a pregnant woman in her third trimester, WBC of between 12,000 and 18,000 per mcL is still normal. High white blood cell count in pregnancy is common as the body’s immune system adjusts to support the woman and her unborn baby. Production of white blood cells rises even more as the woman nears the time for childbirth. However, some specific conditions may cause a rise in white blood cells. In case you get other symptoms such as fever, pain, bleeding, fainting or weight loss, you need to consult a doctor without delay. Stress can cause a rise in white blood cells. In pregnancy, the body exposed to emotional stress or physical stress produces more white blood cells as a way to protect itself. Whenever possible, avoid such stressing conditions and manage any stress through meditation or physical exercise. The body reacts to infections caused by bacteria and viruses by producing more WBC. This happens in case of chest infections, yeast infections, UTIs, and even the common cold. Tissue damage, including that resulting from a cut or burns will also make the body to increase white blood cell production. High white blood cell count during pregnancy comes in handy because the pregnant woman cannot safely take many types of medications. Allergies and inflammatory diseases such as arthritis, asthma and dermatitis, cause inflammation which will usually raise white blood cell count. The leukocytes rush to the site of inflammation to combat the enemy. The increased flow of the blood cells to such areas is the cause of swelling and redness. Other diseases that can cause leukocytosis include whopping cough and measles. While leukemia (cancer of the blood) and other autoimmune diseases are rare, they can occur. In leukemia, very large numbers of WBC are produced. These cells, however, don’t fight any intruders and are in fact non-functional. Leukocytosis can also be caused by autoimmune diseases such as Crohn's disease and Graves' disease. Here is the normal range of high white blood cell count during pregnancy. If your WBC is within the range, there is no need to panic. But if you are concerned about the elevated WBC, you can always consult your doctor. "This is my 28th week and the doctor called me to discuss results of my pathology tests. He said all was well but the white blood cells count was too high. There was nothing about the way he said it to suggest this was problem, but informed me that he would forward my results to the clinic. Once I got home, I did my own Google search but I’m still confused. Is any of you in a similar situation? Do I need to call the clinic?" 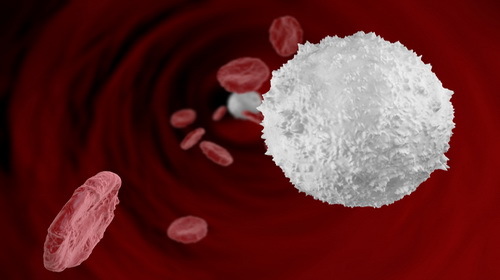 "What causes high white blood cells count? I am in week 22 of my pregnancy and my white blood cell count has been rising month after month. I feel great, with no problems or infections. My urinary tract tests have been clean through five months. The gynecologist said not to worry and offered no explanation of the cause. Am I or my baby at risk? Any help is welcome." "I was pregnant 4 years ago and had elevated white blood cell count from week 28 when this was noticed. This caused concern to my gynecologist especially when the WBC continued to rise in following tests. I was referred to a hematologist who tested my WBC count every fortnight, and it kept rising. One week before due date it got to 20. The hematologist said it was necessary to do a bone marrow biopsy after delivery. This broke my heart. But within two weeks after the birth of my beautiful daughter, the white blood cell count was already coming down. It got back to normal within the next month. It was a great relief. I think it is normal for a woman to have high white blood cell count during pregnancy. I also vowed never to visit a hematologist when pregnant."